We met with the Managing Director and co-owner of Vostok Protection LLC, Rasim Hamidov in the capital of Azerbaijan. 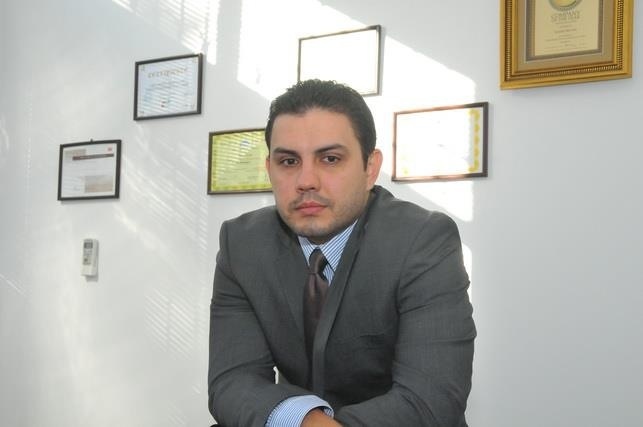 He kindly agreed to tell Getsiz.ru about his company and special features of the Azerbaijani PPE market. Rasim, could you tell us how you came to the PPE market? In 2006 I stood at the origins of one of the most distinctive branches of Vostok-Service in the CIS and successfully ran it for more than eight years. Vostok-Service recruited the most talented people into its ranks, effectively trained them and set up ambitious goals. I would like to take this opportunity to thank Vostok-Service for the valuable experience I have received. The Vostok Protection LLC team has been successfully operating in the Azerbaijani market for more than 10 years now. It is no accident that I used the word «team». The Vostok Protection personnel practically has not changed through many years. We do not have a turnover of staff. For example I have been working together with the Sales Director, Anar Iskenderov, my partner for 15 years. The team went through many difficult stages of the company’s development. All our employees have vast experience in the market. It has been picked up, as they say, in the field for many years. Therefore, expert evaluations made by our staff members are always highly appreciated by our customers. All team members understand the essence of the mission that each of them carries. Our concern is not only selling but correct and effective selection of PPE for the customers in the light of local market features. And without the experience gained over the years this is hard to achieve. We consider it one of our main competitive advantages — a combination of sales and consulting on the selection of protective equipment. Not without vanity, I would say that we laid the foundations for enhancing the occupational safety awareness in Azerbaijan. We always closely follow the innovative developments of PPE made by the world’s leading manufacturers. And we aim to introduce them in the market in the shortest possible time. 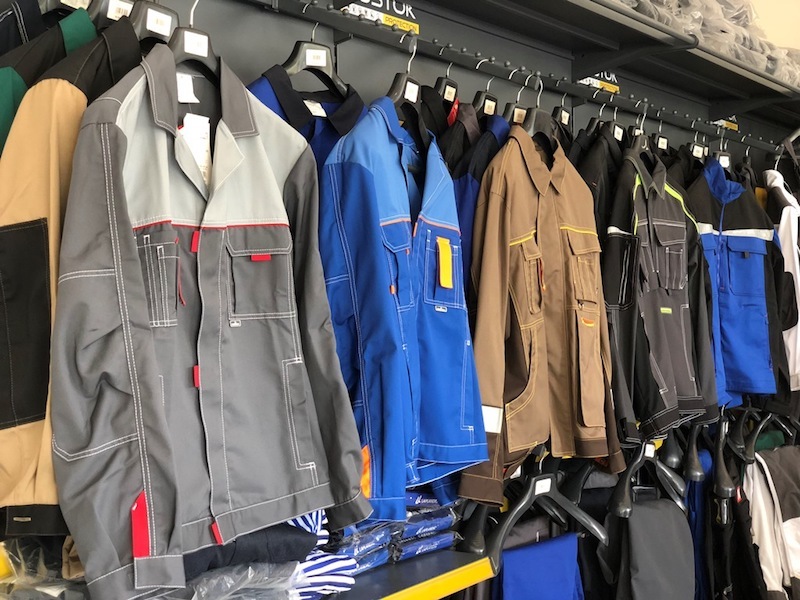 Vostok Protection has a very high competence in sales, marketing and active promotion of high-quality and modern PPE by manufacturers who have potential in our market. We see that Vostok Protection is a professional but young multi-national team, where many employees have worked with you for many years. How did you manage to set up and maintain a team of like-minded people? The recipe is very simple – use your own example, do not lose touch with reality, feel firm ground under your feet and keep balance in the delegation of authority. One could dwell on each of these statements for hours, but I’ll try to illustrate them briefly by simple examples. A personal example implies that the leader of the team participates in menial work not on a par with everyone, but ahead of all. Think of the trite job of unloading a newly arrived cargo in the warehouse or forwarding an urgent order to the customer, when all the trucks are busy, or finding a solution for a difficult situation with a customer or supplier. When a company employee sees that the leader carries heavy boxes out of the truck, or that he is deeply worried over every negative response to a product or service, or shows better knowledge of a certain product than any manager, or that he is always open to the employees and ready to help with any, even minor problem, or that he is ahead of the team in dealing with various issues with customers and shares responsibility with the employees, and does not shut off and does not load all the work on them. All this will give the employee as minimum a sense of security — that he won’t be left alone, always be supported in a difficult situation, and as maximum respect for the leader. These are very important and complex aspects of forming and maintaining a team. Keeping touch with reality implies daily monitoring of all performance indicators of the company, a sober assessment of new opportunities and risks related to them. It is necessary to give an opportunity to any employee to use delegated authorities and take a number of decisions by himself. Only in this way an employee will feel that the company trusts him and that he makes his personal contribution to the company’s success. Only in this way the feelings of responsibility and involvement in the company’s common cause will be formed. By such simple things as personal conduct and example it is possible to infect the employees with the passion of their leader and make them like-minded persons, retain their motivation, teach them how to see the results of achieving the goals not only financially, but also in terms of their own self-realization and the benefits that they bring to the society. 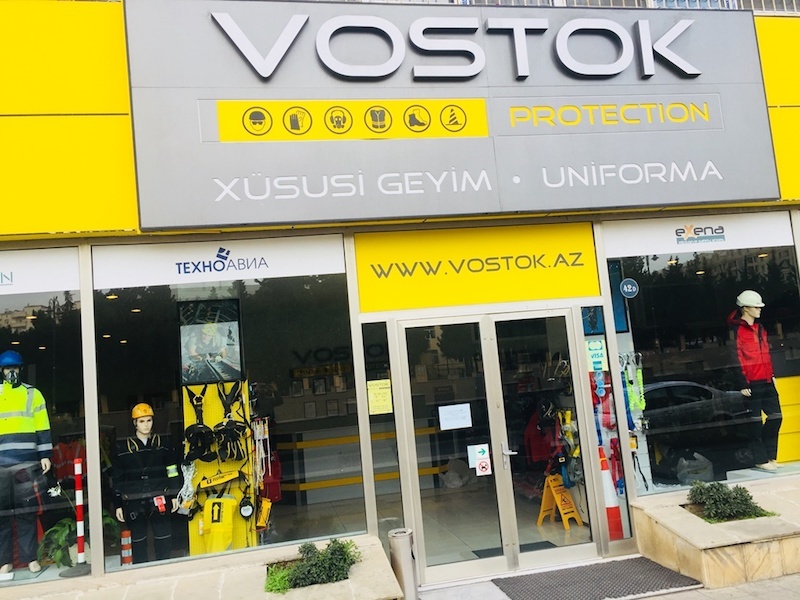 What place does Vostok Protection occupy in the Azerbaijani PPE market? Here it is necessary to understand the criteria by which the place in the market is evaluated. As to the quality of the services provided, the sales network, professionalism of employees and products availability in stock we do not have competitors on the market. Regarding sales volumes we are among the top 5 companies in the Azerbaijani PPE market. Our customer portfolio is differentiated. This is a very important aspect of minimizing risks. We work not only with oil and gas companies, but also with such branches as power generation and supply industry, non-ferrous metallurgy, metal processing, telecommunications, transportation, construction materials manufacturing, food industry and agriculture. An important place is occupied by our retail store network. We have two stores in Baku and one in Sumgait. In the near future we are going to open a store in the third largest city of Azerbaijan — Ganja. The stores account for 15% of the company’s sales and this distribution channel is still growing. What joint programs are you implementing with your partners in Azerbaijan? This is our favorite part of the job. Programs for product promotion, product trainings with joint participation of manufacturers, our staff and customers are held almost every month. 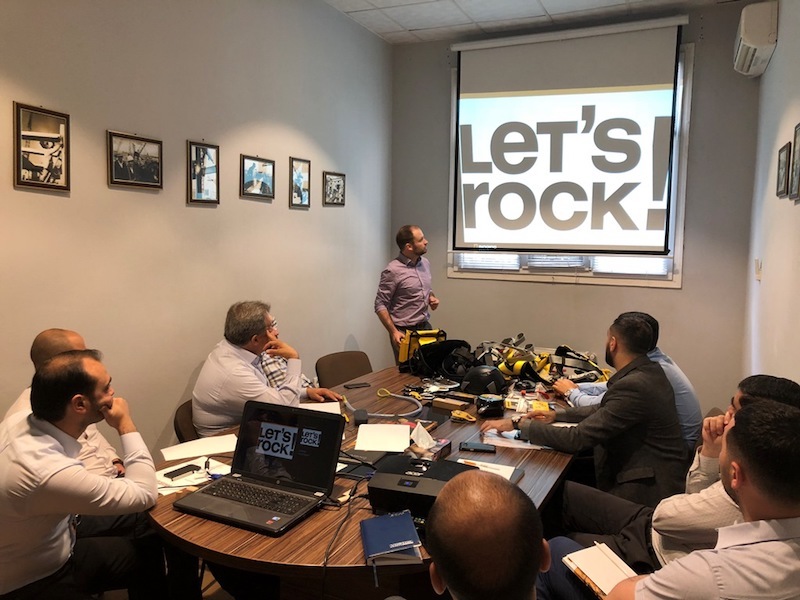 In the past six months only we held product promotion events on fall protection equipment from Singing Rock Company(Czech Republic). Our managers have become certified specialists in this complex but promising segment of business. We conducted a successful presentation of eye protection products from a famous Italian manufacturer Univet, which holds one of the leading places in Europe in this field. We have done a lot of work together with PolimasterCompany (Belarus), a leading manufacturer of equipment for gamma radiation measuring. Work in this field will be also continued actively. 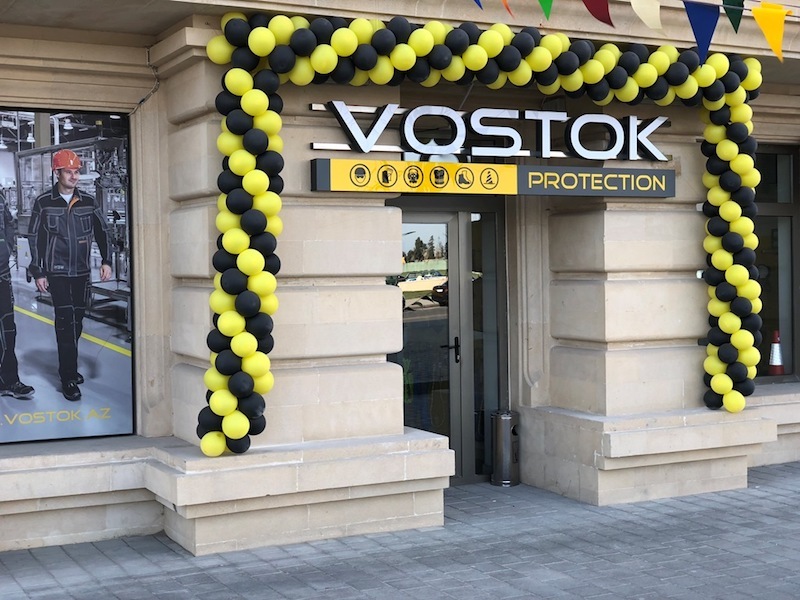 What other PPE manufacturers are Vostok Protection’s partners in Azerbaijan? Taking into consideration specific features of the local market, the partners of Vostok Protection are both manufacturers from Russia, Europe and USA. I’d like to note right away that these companies do not need advertising because they are market leaders not only in their home countries, but also internationally. Their names have become synonymous with such notions as «high quality, reliability and success». I am happy that Vostok Protection can enjoy their achievements. Our partners are: Technoavia (RF), Spetsobjedinenie South-West RF), Zelinsky Group RF), Suksun Optical and Mechanical Plant (RF), Nitras Safety (Germany), DuPont Protection (USA), Sacla Europrotection (France), Deb-Stoko (UK), JSP (UK), MSA (USA), Ancell Protective, Portwest (UK), Exena (Italy), Univet, Canis Safety (Czech Republic), Singing Rock (Czech Republic), Dapro (Holland), Ringers Gloves (USA) and several others. How do you assess the PPE market in Azerbaijan? On the whole, the PPE market in Azerbaijan has recovered from the crisis of 2014-15 and it is already possible to say that it has reached the pre-crisis level. The country’s economy is growing. Russia, Europe and the USA are actively investing in Azerbaijan. For example, in 2017 the «Contract of the Century» was extended — an agreement on the joint development of oil and gas fields between the state oil company SOCAR and the international consortium, which includes BP, Chevron, Statoil, Exxon Mobil and Inpex Corporation. The volume of investment in the framework of this agreement only will exceed $ 40 billion. It is also gratifying that the reforms carried out in the tax and customs services have had a positive impact on the whole economic situation in the country and made all market participants work according to the same rules. The so-called «pocket» companies and one-day companies, selling low-end products have disappeared from the market. It is important that many consumers have become more rational in purchasing PPE. Now they start giving preference to high-quality certified products from reputable suppliers. The customers begin prioritizing long-term effectiveness over immediate problem solutions. Of course all this has a positive effect for the growth of the PPE market. More than 10 million people live in Azerbaijan. We estimate the market at $ 45 million without taking into account the law enforcement agencies, civil defense and rescue services. 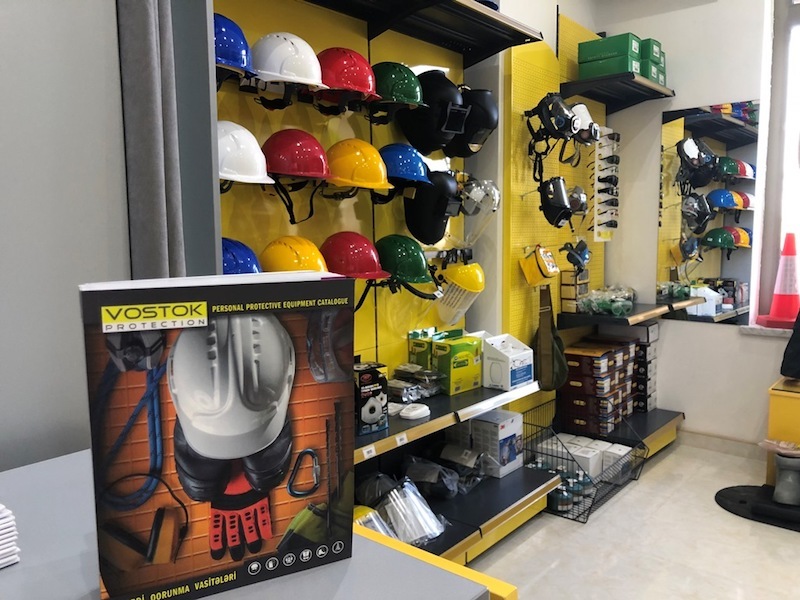 Vostok Protection aims at occupying 20% of the PPE market in Azerbaijan. Are there any peculiarities of the Azerbaijani market compared to the markets of Russia and CIS countries? Yes, definitely! First, it should be stated that the PPE market in Azerbaijan is better developed compared with other CIS countries, but it still lags behind the market in Russia. But I consider this factor as positive, because there is a great growth potential in the local market. The next important difference is the strong market slant towards oil and gas industry, which in principle is not surprising as this is the main economic sector in the country. Based on this peculiarity the product matrix, in which products with flame-resistant characteristics prevail, is built differently compared to other CIS countries. Vostok Protection always keeps stock of flame-resistant products. Another distinctive difference can be mentioned. I’m talking about the diversity of PPE standards. In addition to local companies many Western and Russian companies are operating on the Azerbaijani market, and each of them works according to own PPE standards. Some work according to European and American standards, others according to TR TS regulations. 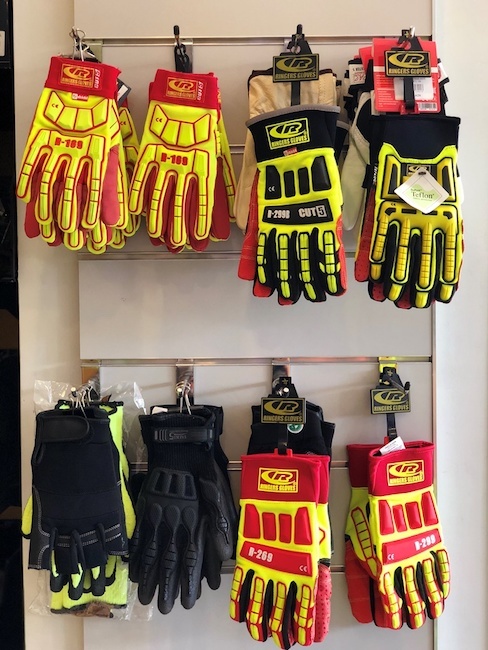 Taking all this into account and considering the need to cover as wide a target group of customers as possible, we are forced to have different products in stock from different suppliers with complying with different PPE norms. Vostok Protection is actively working not only in Azerbaijani but also in the international market. Last year your office was opened in Georgia. Why did you enter the international market? What are your plans in this sphere? 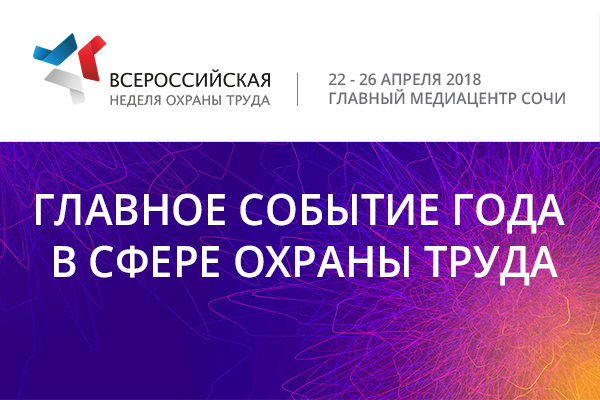 We carried out a thorough analysis of the Georgian market and realized that we could obtain strong competitive advantages that would allow us to occupy a considerable niche. After that we had no doubts about entering the Georgian PPE market. All our partners supported us in the new market and provided us with same terms of cooperation as we had in Azerbaijan. Naturally, this immediately put us in a very advantageous position in comparison to local competitors. It was vital to get a synergistic effect from this policy of expanding sales market. Owing to the use of standard procurement channels and relations with suppliers, promotion of the same products in the two markets, the management of all logistics procedures from one center in Baku and a convenient geographical location in terms of transport, we were able to effectively build all business processes and set up an ambitious young team in Tbilisi. This team is concentrated only on the sales of products; the rest of the service support is carried out by our team in Baku. Thanks to these techniques it was possible to achieve business synergy and this is very gratifying. In 2018, we issued our product catalogue in three languages: Azerbaijani, Russian and English. This helps us develop our international business. Concerning expansion plans — yes we are planning to expand. At the moment the plans are geographically oriented and we will expand our presence both in Azerbaijan and in Georgia. You actively attend international PPE fairs, not only in Europe, but also in the Middle East. Tell us what new trends attracted your attention and what new PPEs you introduced in Azerbaijan? We always attend major PPE shows — A+A (Dusseldorf), SAPE (Sochi), Intersec (Dubai). One of the vivid trends that we witness on the market is the so-called multi-risk garments (protection from several risk factors in one). As for footwear there is a trend for light sporty look safety footwear. And regarding PPE I can see a clear trend for wearing comfort, visual appeal and combined protection. The price issue has gone to the background. Naturally, we take all this into account and adjust the product matrix for market demands. We like to introduce new products at the market and we are not afraid to do so. In the last two years our range saw appearance of new gas detectors (MSA), self-rescuers (Zelinsky Group), anti-shock gloves (Ringers Gloves), flame-resistant antistatic clothing (Portwest) and equipment for working at heights (Singing Rock). We met all these manufacturers at international PPE fairs. Visiting Azerbaijan, we saw a very hospitable, rapidly developing country with an ancient culture. Many PPE manufacturers are already represented here; others want to enter the market. Tell me, what should manufacturers consider in order to be successful in the PPE market of Azerbaijan? Thank you for your kind words. You see how many tourists from many countries there are in Baku. Everywhere you will hear Russian speech. Russian in Azerbaijan is the second language of communication. Our most important resource is our hospitality. We are always glad to see guests! Almost all famous PPE manufacturers are represented on the Azerbaijani market and the competition between them is strong here. For successful work it is very important to find a reliable, serious and adequate local partner. The local market, like any other market in the world, has its own peculiarities, and without establishing a trustful relationship with local partners achieving positive results would be very difficult. After establishing good relations it is very important to maintain them on a high level, which implies day-to-day information support, arranging trainings and seminars, availability of products in stock, joint solution of reclamation issues and high speed of tackling customs and logistics procedures. I.e. before starting to export the supplier should make sure that all conditions are ready for export operations. A lot of work is to be done to tackle these seemingly simple issues. What would you like to say to the readers of Getsiz.ru? First, I want to thank your Web resource, which in a very short time has become quite essential for the entire PPE market in Russia and CIS countries. Your publications are always interesting, useful and up-to-date. We, in agreement with Getsiz.ru, publish articles relevant to our market on our website in the Azerbaijani language. Getsiz.ru is always at the forefront of the PPE world market trends. I wish you to uphold and elevate these qualities. I wish the readers of Getsiz.ru good luck in all endeavors, and in case they get plans to enter the markets of Azerbaijan and Georgia, we are always at their service. I invite all the readers of Getsiz.ru to visit Azerbaijan! ФСС завершила прием заявок на компенсацию расходов на СИЗ. Справка «Сделано в России» пока нужна. Что дальше?